Venice Italy is accessible to everybody. Prepare your Venice Holidays and decide how you want to go. Do things that other tourists do not do. I'll show you how to do this. The location of Venice is in the north of Italy. Venice has the image of a romantic destination. It has many names; the city of water and the city of bridges. It all describes beauty. 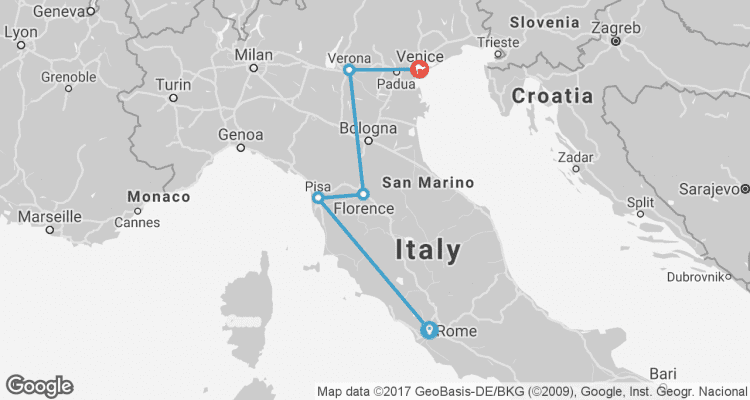 I can help you How to Travel to Venice or another organized trip. 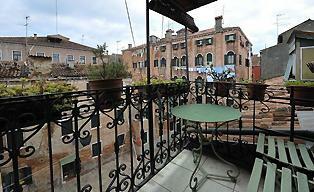 I will show you some easy and affordable deals which you can book when you travel to Venice. Check the best Hotels, go through Italy with a special discounted train ticket. Enjoy with a cruise or other tours in Venice. The city is gifted with sloshing water, gondola rides, and historic scenery. The lagoon has its blend of luxury and elegance. You will get entertained like no other place. This vibe is why Venice has still preserved its fame. Therefore, looking for Last Minute Offers? I did my best to find for you great last minute holidays. See my selection of Last Minute deals. But, hurry up! Tomorrow the 'Deal' may be gone! Do you want to surprise your partner? Eat together in good Italian restaurants, Venetian Cicchetti (tapas) with a glass of wine from the Veneto. But, are you waiting for a cheap trip to Venice? My advice is not to wait for an offer. I have prepared for you some great Venice Discounts. Read these package deals which are well rated. Venice is one of the most expensive cities in Europe. And yes, you have a lot of options for a Holiday trip to Venice. You can book a Coach Tour inclusive a visit to Rome and Florence. Visit my page about Coach Tours with the best guides available. During the tour, you have a lot of free time to discover the city of Venice! The best time to do a city break in Venice is in early spring or autumn. But to be honest, there is no wrong time to celebrate the holidays in Venice. Every season has its sights. Take for example the festivals during the winter period. Or experience a gondola trip in the warm summer evenings. Holidays in Venice is full of culture, bridges, beautiful views and romance. But the city is crowded with tourists during the holiday periods. Long lines and crowds in the streets. 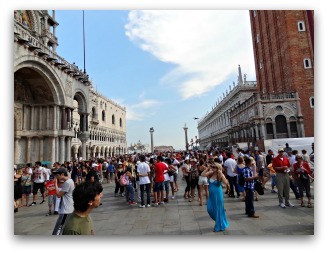 You can read a CNN news article about how Venice handles the tourism crowd. Holidays in Venice Italy are unreal. Sometimes you will think ‘this is a world of fantasy and frivolity.’ This thinking is not a dream. This dream is Venice! Like all other European cities, Venice is gifted with many churches and museums. As far as I know, it has the most museums and churches on its 1,178 square kilometers which is 458 square miles. Architecture and rich history further enhance the magic. I always start with a nice walk in the morning. You will then taste the authentic Venice as you walk along the canals, through the alleys, squares, and over the bridges. In Venice, there are no cars or busy traffic squares. How wonderfull! Book a Tour or Discount ticket on my page about Venice Activities > You will experience the city the better! Easy to pay and your smartphone is the voucher! You will meet in Venice, a lot of tourists. I think, more than half is missing the beauty of this beautiful place. They wander the streets without absorbing this gorgeous city. Visiting one highlight and are continuous following other tourists. Real shame if you ask me. And what are you doing? 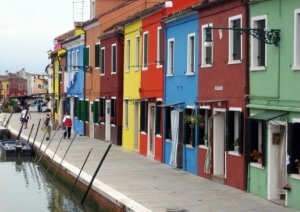 Include your holiday with the islands of Murano, Burano, and Torcello. Fewer tourists! Lido Island is another thing. Make your holiday an experience spending time on the beach of Lido. There are also great restaurants, cafes, and hotels. Everything for a top holiday! You have read about how I experienced my Venice vacation tips! I have some suggestions, as you will read. Please click on the links to explore my site more.